MainAll NewsInside IsraelWill Barak, Livni, and Ya'alon unite? Will Barak, Livni, and Ya'alon unite? Report says Ehud Barak engineering merger of center-left bloc in an attempt to end years of right-wing rule. A new report says that former Prime Minister Ehud Barak is coordinating a merger of the center-left bloc in an attempt to bring the Left back into power. According to Channel 10, Barak met with opposition leader MK Tzipi Livni and former Defense Minister Moshe 'Bogie' Yaalon at his home last week in Tel Aviv. Livni met with Barak in the morning while Yaalon arrived separately in the afternoon. The report appears to suggest that Barak is attempting to form a party with Livni and Ya'alon in order to consolidate support among the center-left. Ya'alon had left the Likud after a falling out with Prime Minister Netanyahu and is considering his options after polls show that his party wouldn't pass the electoral threshold. Barak had retired from political life in 2013 but has been rumored to be planning his return ever since. In 2017, reports said that Barak and Zionist Union leader Avi Gabbay had been in talks to lay the groundwork for Barak to be given a “safe” seat on the party’s Knesset list without having to run in the primaries. 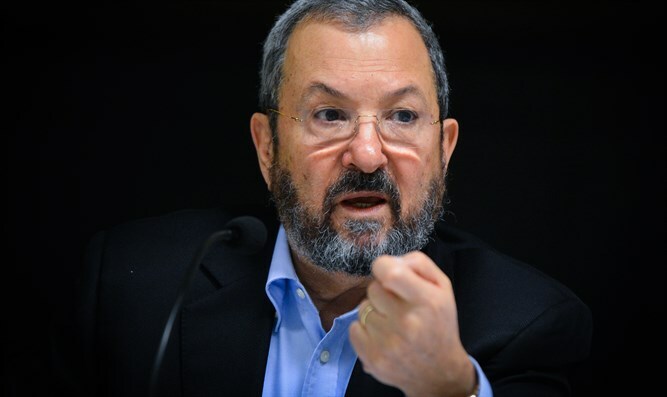 Barak has continuously blasted Netanyahu and his government, even though he once split the Labor party and formed the short-lived Independence party so he could continue to serve as Netanyahu's Defense Minister. Among other things, the former prime minister accused the government of leading towards a reality of one state with an Arab majority. Israel's shortest-serving Prime Minister, Barak defeated Binyamin Netanyahu during his first term in May 1999, but was removed from office in a landslide election less than two years later in February 2001. During his term, he ordered the IDF retreat from the Lebanese buffer security zone it had held for 15 years, paving the way for Hezbollah takeover and, in the words of experts, providing a “tipping point” for jihadist groups across the Middle East who saw the withdrawal as a sign of weakness..
After his 2001 defeat, Barak retired from politics, but returned in 2007, winning back control of the Labor party. He was appointed as Defense Minister by Ehud Olmert later that year, a position he held until the 2013 election.